In January, 12 South Florida RPCVs and family traveled to Haiti. Upon arrival in the land of vodou, we made a list of everyone we wanted turned into a toad but forgot to submit it. The first thing to hit us in Port au Prince was traffic and ruleless driving. Our savvy tour operator, Jacqui, arranged transportation to our hotel. Mercy and merci. At some point, we saw the PaP traffic light. Well, maybe there were 2 or 3. The place is bustling, people always in motion. For a poor country, there seems to be a whole lot of commerce going on. On our city tour, we discovered our hotel was around the corner and about 3 long blocks from the quake-demolished presidential palace, site of a couple of demonstrations against the government and demonstrations against the demonstrators which did nothing to improve traffic. We were never in any danger the entire trip. We did see a UN patrol truck with soldiers from Chile and occasional armed guards. That night we had a cocktail hour meeting with Pamela White, US ambassador and RPCV (Cameroun) and her husband Steve. They met when both were with USAID. She discussed Peace Corps coming back to Haiti with Aaron Williams when he was Peace Corps director and her friend since he was USAID director. In short, not until the present political crisis is resolved. Her tour is ending with a new ambassador waiting to be confirmed. We were grateful she generously extended the time allotted for our meeting. The next day, we lunched at Hotel Oloffson, a gingerbread hotel past its prime, long favored by Americans, described by Graham Greene in his novel of the Papa Doc regime, The Comedians. An American gentleman was questioning diners about travel. When he got to us, we found out Jay is a retired educator from San Francisco and an RPCV (Mauritania). 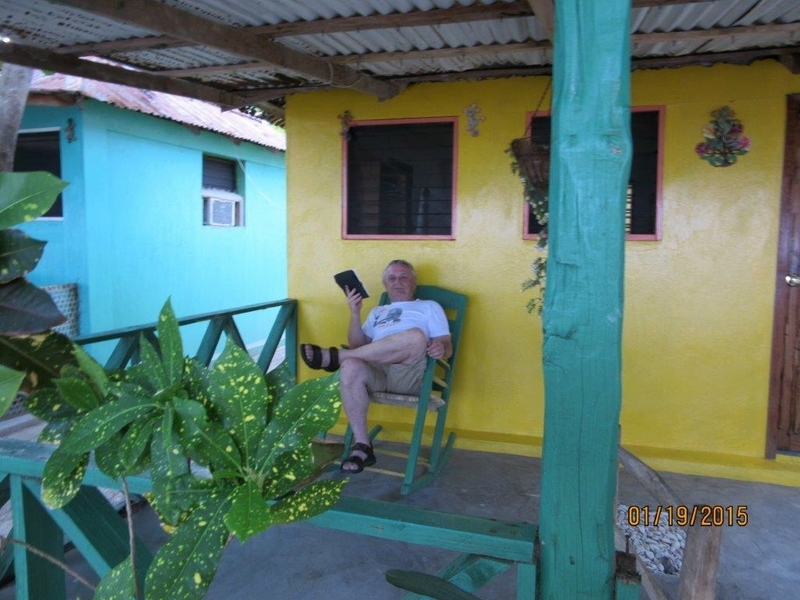 He arranged through Jacqui to join us on the leg to Jacmel. 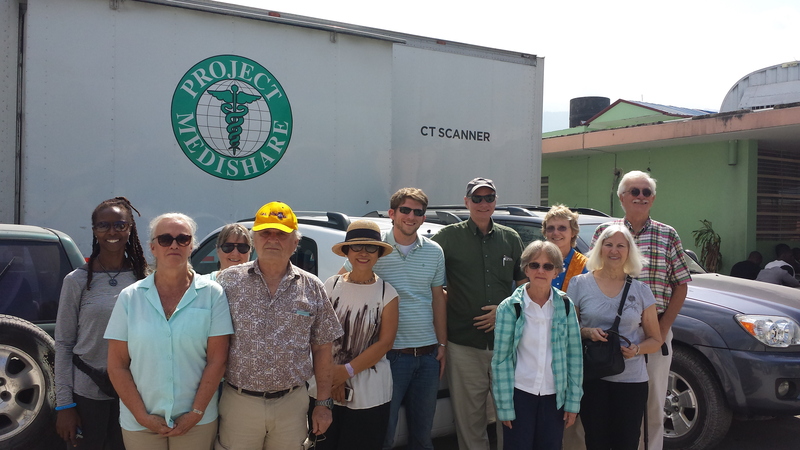 Before leaving PaP, we visited Project Medishares and HELP (Haitian Education and Leadership Program, Inc.), 2 charities we have supported with donations. The effect of the visits on us cannot be over-stated. Hopital Bernard Mevs (Project Medishares) is a trauma hospital. Scott, our American guide, gave us a list of all the services it is the only provider of in the country. We were particularly moved at the prostheses room where an 8 year old boy on crutches was being fitted for a leg when his stump heals. He had been swimming in foul water, cut his leg which got infected. He was a trooper, but a little on edge until the person fitting him, who moved like a dancer, lifted his trouser leg to reveal a sophisticated prosthesis. A building fell on him in the earthquake, breaking his leg. He was able to extricate himself but did not receive medical aid for 5 days, ultimately in the DR. He got his leg here and is now in charge! HELP selects only the highest academic achievers among students who cannot afford secondary or higher education. They are mentored by HELP, assist in recruiting, and pledge 15% of their salary for 9 years after completion of the program which they do alongside their academics. Meeting these kids was a grabber, giving them a chance to practice their English and get over any shyness. We flew to Cap Haitien on the north coast to see La Citadelle, the mountaintop fortress built by self-proclaimed Roi (Rwa=King) Christophe in the rush for power after Independence. The cobblestone roadway to the summit is VERY steep and best accomplished on horseback. My horse was named Patience. What a ride! Especially when my controllers used a switch on her to hear an old man cry out. We then traveled a few meters down the road to the ruins of Sans Souci (without cares) palace. All the materials for the fortress were brought to the palace and had to be moved up to the construction site accounting for 20,000 deaths. After our return flight to PaP, we motored to the south coast city of Jacmel, noted for its architecture and arts. To us, this meant SHOPPING. The next day we left for our final stop, 2 nights at Village Vacances resort on Ile a Vache (Cow Island). We expected a ferry, only to be met by a small skiff with a small outboard motor for all of us and our luggage. No one screamed because everyone was beyond speech. VV could be described as primitive, crude, el dumpo or very, very Peace Corps. The cabins had a/c with no plug receptacle; a pipe sticking out of the wall for a shower IF you had water; a bucket to obtain sea water for your toilet when you lost water; intermittent electricity; my mosquito net covered 3 sides of the bed. Forget hot water, shampoo, or conditioner. Your fur was your problem. On the other hand, it had the best food of the trip: savory chicken; fish; conch; lobster in a dining room with a leaky thatched roof. No menu. The meal was simply served. I had to beat off those nasty meats for our vegetarians. When we arrived, I inquired about the availability of gin, whiskey, rum, wine, tonic, club soda. When I found out there was none, I may have raised my voice a tad. I need my vitamin A (alcohol). Someone was immediately dispatched for “supplies” to the mainland. Still no gin, tonic, or club soda, but they made an excellent rum punch. We left Haiti more knowledgeable of the country and with deep feelings for its people.